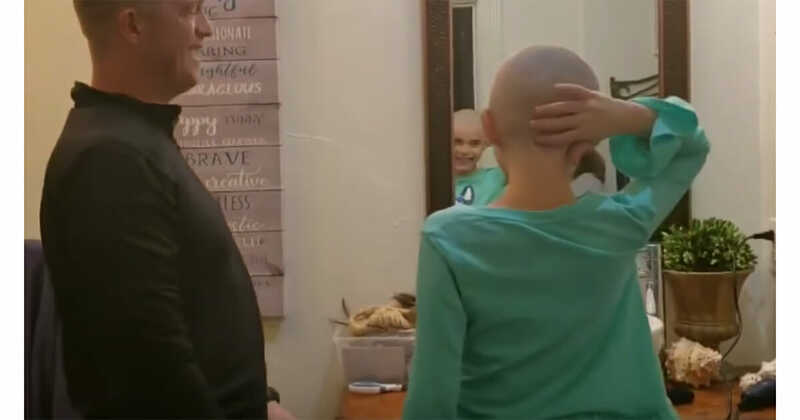 Two young sisters aged 7 and 10 are being hailed for supporting their mother in a really special way as she fights cancer. Kayla and Sophia McPherson, of Louisiana, realize their mother Joanna would do anything for them. Despite their tender age they are aware she would sacrifice anything for their safety and happiness. 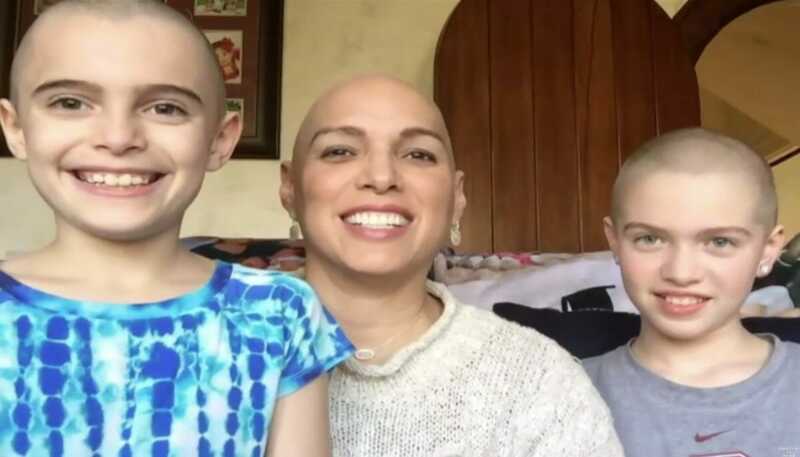 Their mother Joanna was recently diagnosed with a form of breast cancer known as HER2+. She knew there was a tough battle ahead of her, when her two daughters came to her with a request she was taken by surprise. Kayla and Sophia informed their dad Shawn of their intentions first, before then decided to ask permission from their mother Joanna. On a previous occasion Joanna had undergone a double mastectomy after being diagnosed with ductal carcinoma. In October 2018, she was given a further diagnosis of HER2+ and advise she would require chemotherapy. 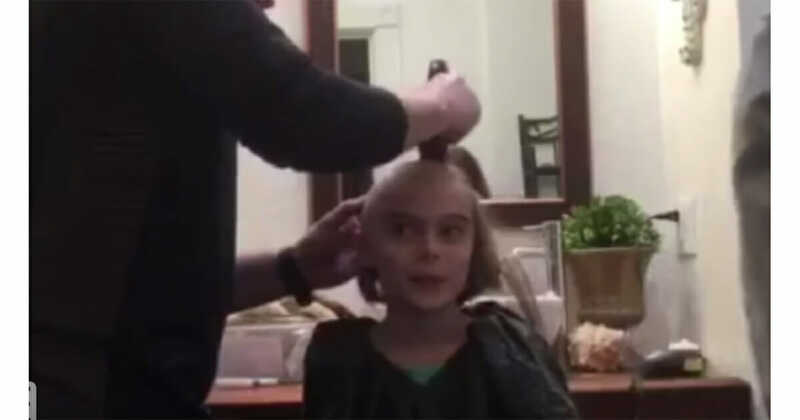 As a result of her treatment Joanna’s hair began to fall out so she made a decision to completely shave it off. It was weeks after her decision that her daughters approached her with a proposition to demonstrate their solidarity. “I thought, ‘Well, they probably don’t really know what they’re asking and after a few days it will kind of blow over and they won’t really want to follow through with it,’” said Joanna. However, it didn’t take long for both girls to sit in the barber’s chair and have their heads shaved by clippers. The girls giggled happily as their locks fell to the floor, they were happy to have the exact same haircut as their loving mom.